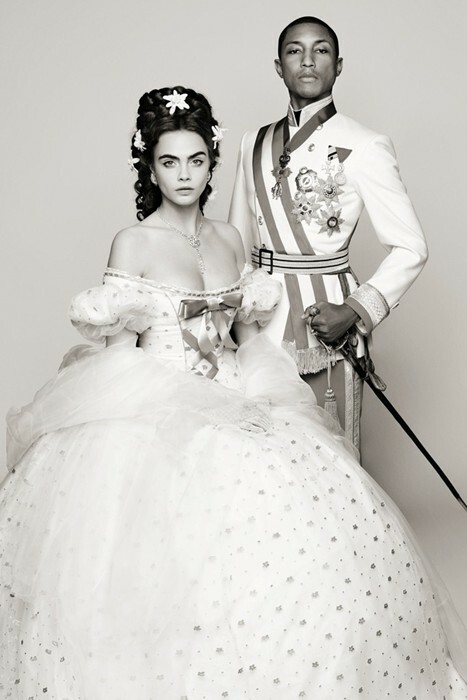 Model of the moment, Cara Delevigne, and music maestro Pharrell Williams have joined forces in Karl Lagerfeld's short film Reincarnation. 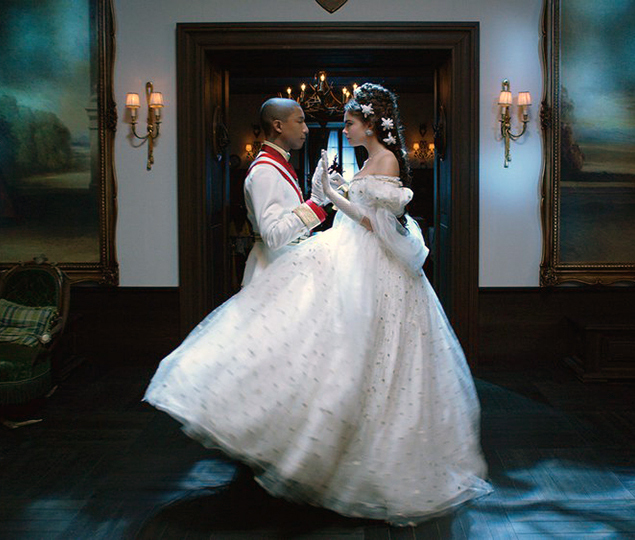 The film features the song CC the World, penned by Pharrell which he sings with Cara. The film tells the story of the iconic Chanel jacket, which Coco Chanel founder inspiration for whilst in Austria. Legend has it the jacket was influenced by the jacket worn by a hotel's elevator operator, the role Pharrell plays. In a dream sequence, the artworks on the wall of the Austrian hotel of Franz Joseph I, the Emperor of Austria and his wife Empress Elisabeth "Sisi" of Austria come to life as Williams and Delevigne are reincarnated as the Emperor and wife. 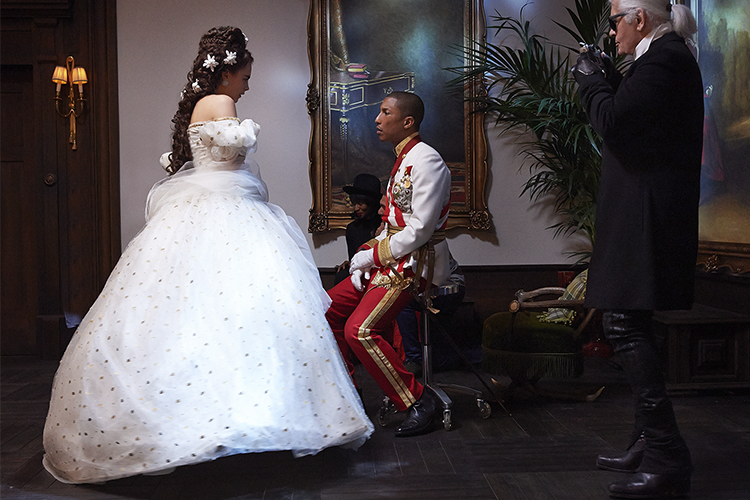 The pair perform an imperial waltz to Pharrell's track which samples Viennese music. Coco herself is played by Geraldine Chaplin, other members of the cast include Lady Amanda Harlech, models Baptiste Giabiconi and Heidi Mount and six-year-old Hudson Kroenig who made his Chanel catwalk with Cara and Lagerfeld in 2010. Watch the video here. Inspired? Search Chanel on Barnebys here.